Dear Diary 4th September - “But Someone Has To Do It Tour”. Burghley to Blair, my daily diary of two weeks of top end equestrian sport from behind the lens. Weather, Rugby, Food and a wee bit of Dressage. Another early start this morning and woke to find it overcast again!!! I took a shot three years ago of William Fox-Pitt out on early morning exercise with his horse, ended up in The Times. It had the house emerging from the mist, blue sky, sunrise, horse, famous rider, just about everything. The mornings have never been anything close to that since - maybe shots like that are never to be improved upon despite best efforts. On the way back to the van, I met a group of eventing supporters who arrive every day at 7:00 to park their cars next to the outside arena and watch the Pony Club jumping on the Thursday and the 4 & 5YO classes on the Friday and have done so for years. They were trying to take a group shot with the house behind them with iPads, which was not an easy thing pull off as at least one of them was not in the shot and the background was bright and shady. So they asked me if I would take a picture of them - INSTANT PRESSURE. I am OK with Nikons, could probably do a reasonable job with a Canon, or Sony, Olympus, Pentax at a push - but iPhones and iPads NO, No No, I just don’t/can’t do pictures on iPhones and iPads. So I decided the best way to maintain integrity was to grab a flash gun and do the shot properly and the only way the shot could be done. The conversation then moved on to Rugby and an invite to do coffee and breakfast with the group next year, which I will do. Next stop was a media photo opportunity with Land Rover, Rugby World Cup and Jason Robinson. Four of us trooped off to Discovery Valley to “discover” no aforementioned Land Rover, Rugby World Cup or Jason Robinson. 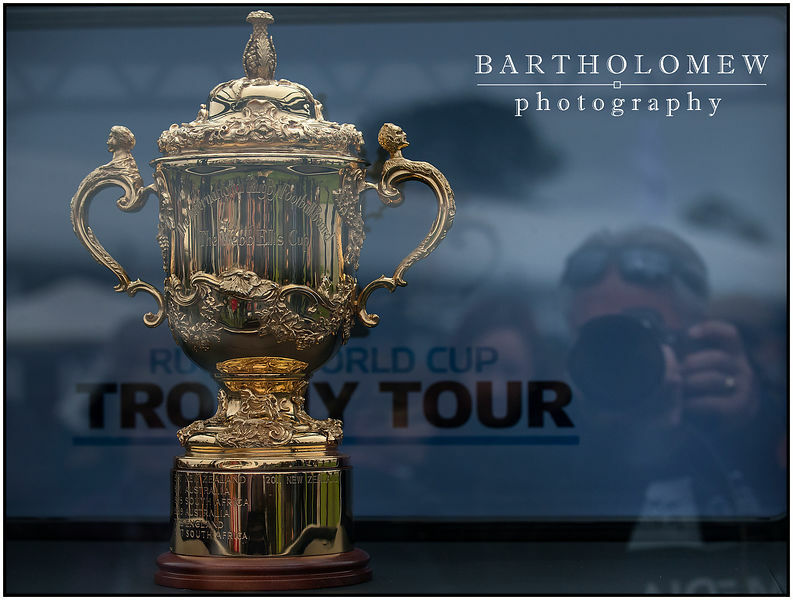 So we walked back to the media centre to find out the Land Rover, Rugby World Cup and Jason Robinson had now arrived in Discovery Valley - Did I ever mention that equestrian photography incurs a lot of walking? So media shoot out of the way I did some dressage in the session before lunch and it was cold - I’m not talking about the lunch. The session after lunch was even colder AND I wore gloves, who’d a thought. William F-P posted a great score and now shares top spot with Jung. Oliver Townend and Armada did a great test, great celebration at the end and interaction with the crowd - wish more of the riders would do that. He rides three horses cross country tomorrow, you have to admire the guy this is no weekend ODE. Wired off today’s images whilst enjoying cakes courtesy of Land Rover. Then finished the day with a walk around the loop, Capability’s Cutting, Rolex Grand Slam Viaduct, Winners’ Avenue, Cottesmore Leap, The Land Rover Dairy Farm. The plan is set - but depends on the weather. My bib number is 28 if you see me please say hello - but don’t ask me to take a photo with an iPad or iPhone…..
Picture : I don’t often do Selfie’s, but sometimes you just have to.